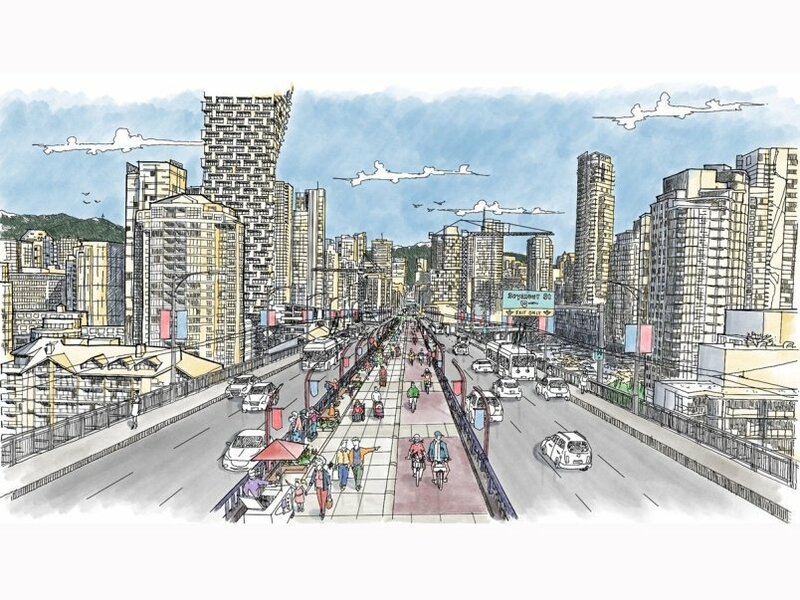 The City of Vancouver has begun public consultation on the Granville Bridge Connector, a future walking and cycling path down the centre of the bridge. 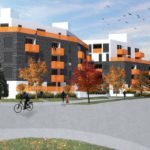 The city is hoping to have several concepts to review by summer 2019, with a decision by city council expected this fall. 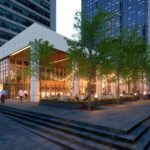 Detailed design work should begin in 2020. Granville Bridge was originally designed to connect to high-speed, high-volume freeways that were never built. As a result, the bridge has excess capacity and is unpleasant and somewhat unsafe for pedestrians and cyclists. There are several major issues with the bridge as-is, including un-signalized crosswalks at vehicle on and off-ramps; steps down to the crosswalks making them inaccessible to those in wheelchairs or scooters; and narrow sidewalks without barriers next to high-speed traffic. 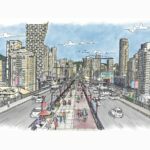 The plan for the Granville Bridge Connector is to create a centre path for people “walking, rolling and cycling” across the Granville Street Bridge by reallocating travel lanes. The path would have a physical buffer from vehicle traffic and be elevated above the remaining motor vehicle traffic lanes to ensure a safe and comfortable experience. 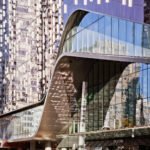 Preliminary analysis by the City of Vancouver shows that existing traffic on the bridge could be accommodated by two vehicle travel lanes in either direction. 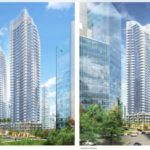 The city says the Granville Bridge Connector would help link several major initiatives at either end of the bridge, including the new public space around Vancouver House and a possible elevator from the centre of the bridge to Granville Island. 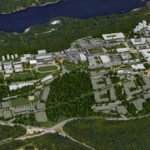 An improved connection to the Arbutus Greenway is also in the cards. An online survey is available here with several public workshops scheduled between April 12 – April 30, 2019.